In the wake of Lovie Smith’s hiring at Illinois, we take a look at how some other NFL coaches performed in the college ranks. Illinois made waves earlier this week when—after firing Bill Cubit before his first game as full-time head coach—the school hired former Chicago Bears and Tampa Bay Buccaneers head coach Lovie Smith to lead the program. Smith, 57, coached nine seasons in Chicago and was fired by Tampa Bay in January after going 8–24 in two seasons there, which included a 6–10 mark this past year. He went 81–63 with Chicago from 2004–2012 and led the Bears to a Super Bowl appearance in 2006 and three NFC North titles. Is hiring an NFL coach a proven method of success at the college level? We looked at some other professional coaches who left for the NCAA in the past 15 years or so, and the results have been mixed. Mora had a successful first season in the NFL, leading the Atlanta Falcons to an NFC Championship Game with Michael Vick as his quarterback. In his next three years as a head coach—two with Atlanta, one with Seattle—Mora finished with a worse record than the season before. 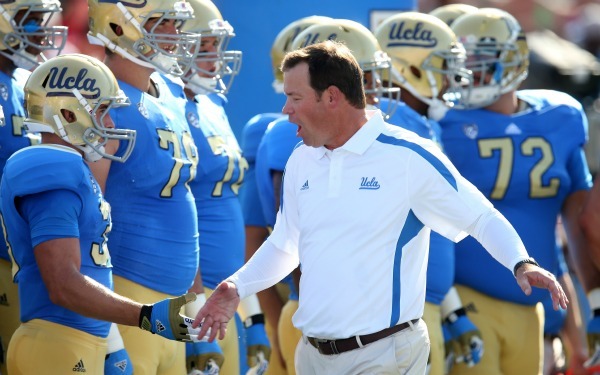 At UCLA, Mora has been better than he was in the pros, leading the Bruins to a No. 10 finish after the 2014 season. Although Mora sports a solid 37–16 record, the Bruins haven’t reached a Rose Bowl during his time at UCLA, and are only 2–2 in bowl games. Carroll has enjoyed extreme success in both college and the pros. He was 33–31 in the NFL before joining USC for the 2001 season, when he began a stretch of leading the team to nine straight bowl games. Carroll played in a major bowl game seven out of nine years, winning two national championships. After the 2009 season, Carroll jumped back to the NFL, where he’s gone 60–36 with the Seattle Seahawks, including two Super Bowl appearances and one Super Bowl championship. Lane Kiffin has perhaps failed upward more than any other coach on this list. After having never been a head coach, Kiffin was hired by the Oakland Raiders, and promptly went 5–15 before being fired four games into his second season, all while clashing with owner Al Davis. 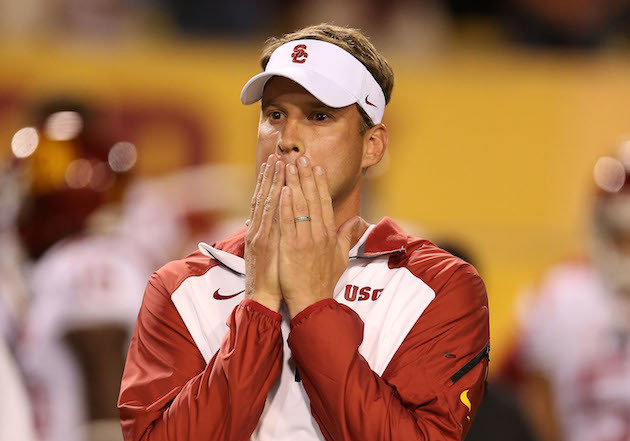 Kiffin parlayed his firing from the Raiders into the head coaching job at Tennessee. Kiffin coached the Volunteers for one uninspiring season before jumping ship for the USC job, taking over for his former boss Carroll. Kiffin couldn’t match the success of his predecessor, earning only one top-10 finish before getting fired at the airport five games into his fourth season. Saban had coordinator experience in the NFL before taking over as head coach at Michigan State in 1995. After a solid stint with the Spartans, Saban took over at LSU, leading the team to a 48–16 record, three bowl wins and a national championship in five seasons. Saban was lured out of college by the Miami Dolphins, where his initial success gave way to a subpar second season, marred by the team’s decision to sign Daunte Culpepper over Drew Brees. 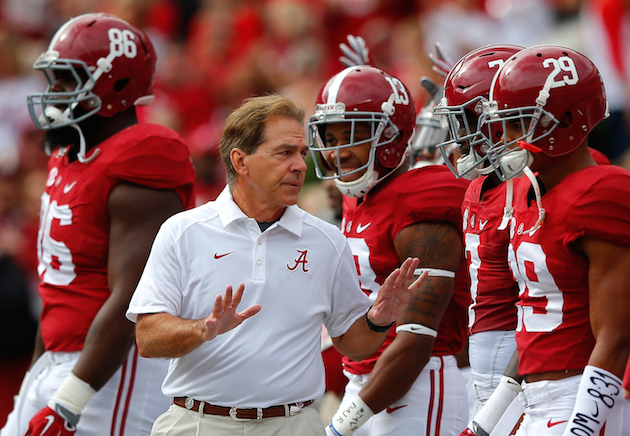 It’s possible if Brees had signed in Miami, Saban would still be coaching the team today. Instead, he jumped ship from Miami to Alabama (after saying he wouldn’t be the Alabama coach) in 2007, and the Tide have been rolling ever since. 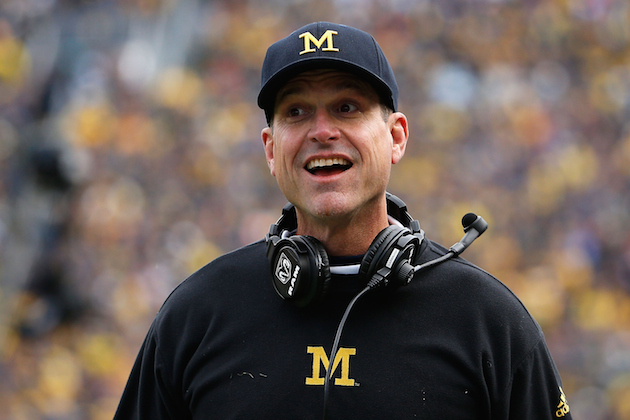 In a similar fashion to Saban, Harbaugh sandwiched an NFL job in between college stints. Unlike Saban, Harbaugh found great success in the NFL. After bringing both San Diego and Stanford from obscurity to relevance in college, Harbaugh did the same with the San Francisco 49ers. He led the team to three straight NFC Championship Games, a run which included a Super Bowl berth. Harbaugh was seemingly always a few bounces of the ball short of the ultimate success in the NFL, and he left the 49ers after his fourth season, during which he clashed with management and the team finished 8–8. Back in college, Harbaugh quickly went to work with his alma mater Michigan, leading the team to a 10–3 record in his first season. After a historic run at Florida, Spurrier tried his hand at the NFL, and found out Danny Wuerffel wasn’t as effective outside of the SEC. Spurrier coached for two losing seasons in Washington, then took a year off before returning to college at South Carolina. Spurrier did well for the Gamecocks, even if he could never bring the program to the height of his Gators teams. He led South Carolina to three straight top-ten finishes from 2011–14, and won his last four bowl games with the team. 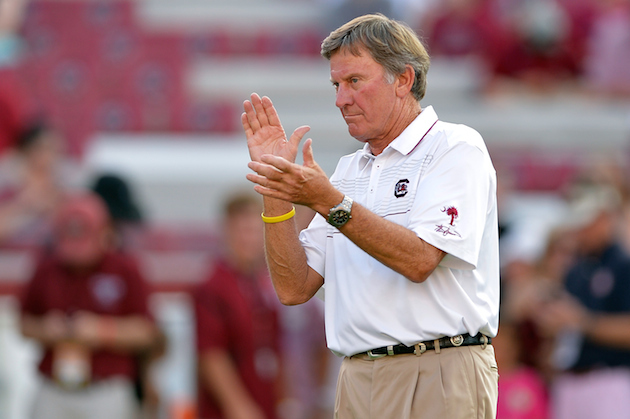 Spurrier finished 86–49 in 10-plus seasons. Petrino was a hot name after a four-season run at Louisville, during which he won at least nine games every season and finished in the top-ten twice. Petrino soon bolted for the Atlanta Falcons, where he resigned 13 games into a 3–10 season. 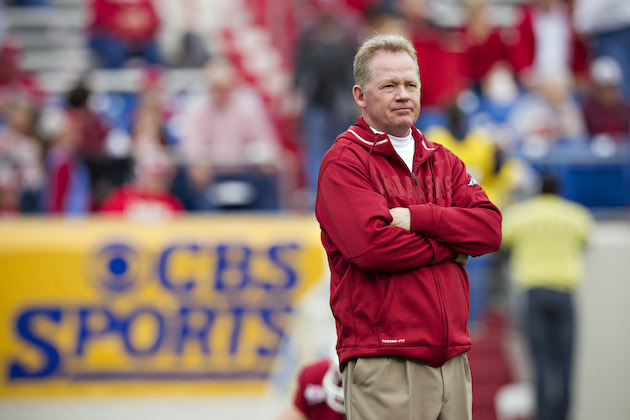 Petrino then caught on with Arkansas, where he led the team to a No. 5 ranking after his fourth season, only to be fired months after because of a motorcycle accident/adultery scandal. Petrino sat out for one year before accepting the head job at Western Kentucky. Louisville brought back Petrino in 2014, and he’s gone 17–9 in the two seasons since. Callahan led the Oakland Raiders to a Super Bowl appearance in his first season, and was then fired a year later after a 4–12 finish. After his departure from the Raiders, Callahan took over at Nebraska, where his up-and-down stint failed to meet lofty expectations. 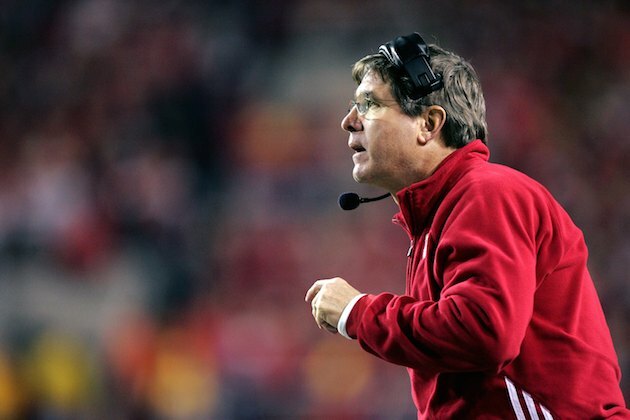 Callahan went 27–22 in four years with the Cornhuskers, leading the team to only one top-25 finish. Riley was a phenomenal CFL coach, winning two Grey Cups with Winnipeg in 1988 and 1990. He eventually found his way to Oregon State in 1997, where after two under-.500 seasons, the San Diego Chargers brought him on board. Riley struggled in San Diego, finishing 14–34 after three seasons. Riley soon returned to the Beavers, winning five bowl games in his first six seasons, which included three finishes in the AP Top 25. 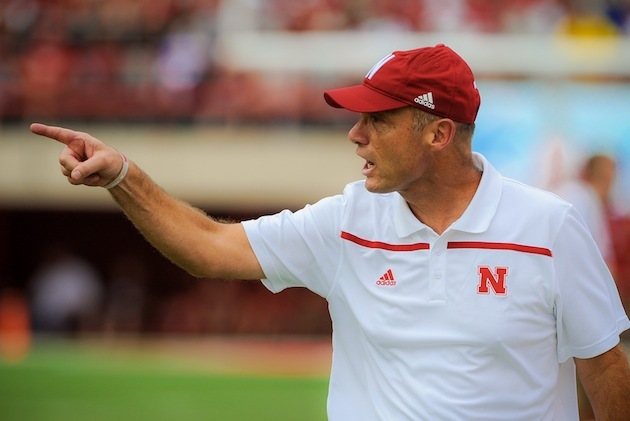 In 2015, Riley took over at Nebraska, where he went 6–7 following the departure of Bo Pelini. Wannstedt was a head coach for 10-plus seasons in the NFL, first with the Chicago Bears and then with the Miami Dolphins. 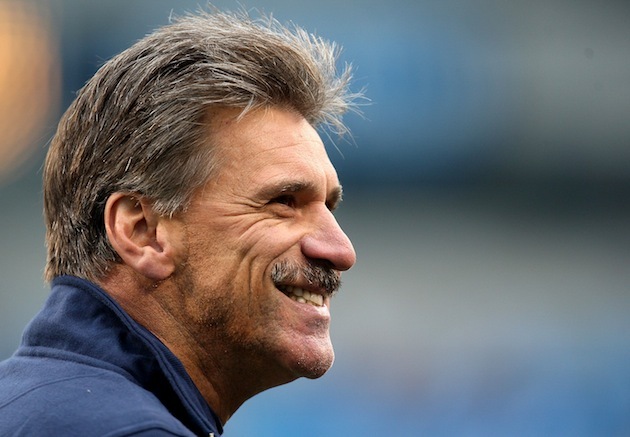 Of the two stints, Wannstedt’s Dolphins tenure was the more memorable. He won 41 games his first four seasons, then resigned in the middle of a 1–8 campaign in 2004. By next season, Wannstedt was at Pittsburgh, where he brought his trademark stamp of averageness. He won no more than six games his first three seasons, followed by solid showings in 2008 and 2009, the latter of which the Panthers finished 15th in the final AP poll. 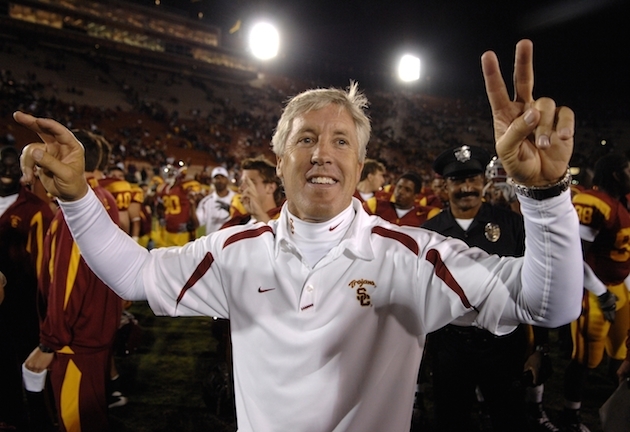 But after Wannstedt slipped to 7–5 in 2010, he resigned before the Panthers’ bowl game.